Tiger's Eye beads, 10mm (approx. 0.4"). 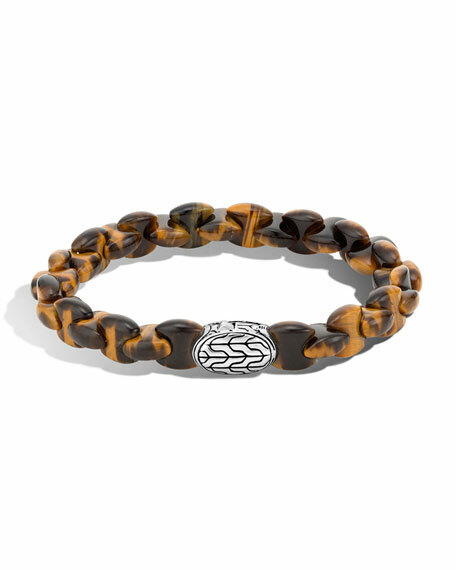 John Hardy men's bracelet from the Classic Chain collection. Chain-engraved sterling silver station. 18-karat gold Jawan bead motif. Braided leather band. Pusher clasp. Handcrafted in Bali.